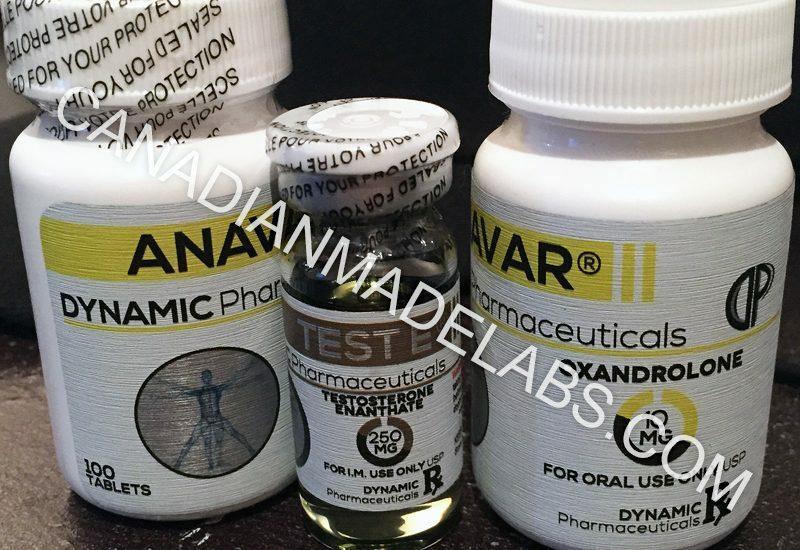 Oxandrolone (Anavar) is a common steroid that many bodybuilders mostly use in a cutting cycle. It is perfect for body strength. This drug is known everywhere in the world to be the favorite drug that bodybuilders use for dieting. Athletes also use it especially for speed. Oxandrolone is available in a few selective markets; the dosage together with the composition varies with different manufacturers. The modern brands commonly contain 2.5mg, 5mg or 10mg per steroid. Most Oxandrolone drugs are available in the United States in 10mg and 2.5mg dosage. It has also been revealed through studies that those who take oral steroids with food decrease its bioavailabity. Winstrol or sometimes known as stanozolol is considered to be one of the most effective range of anabolic steroids. It is best for bodybuilders who are considering increasing muscle mass and also giving the body a dry look. Most of the laboratories that produce Winstrol produce it in 50mg and 10mg tablets. Those who often take Winstrol drugs take a dosage of 40-80mg. Bodybuilders use Winstrol for cutting phases especially when they would want to achieve a body with less fat. Winstrol is most popular with athletes that would want to achieve a good result on the track. It seems that those who would wish to gain muscles have a variety to choose from. When you go to the market to look for tren, there are two types of tren that are available in the market that is acetate and enanthate. This steroid is well known among bodybuilders and that is why when you go to the market, you will either find parabolan or Trenbolone enanthate. A person who would want to lose fats fast and gain big amounts of muscles should go for the Trenbolone steroids. Most people term Trenbolone is the strongest steroid that gives the best results for a bodybuilder. Another good attribute about this steroid is that it gives one the much needed aggression especially when working out in the gym. This steroid is known to be amongst the first to be produced in America. You should know that Dianabol is one of the oldest steroids in the history of sports and has remained the best oral bulking steroid. One advantage about Dianabol is the fact that it helps to increase one’s strength therefore making the lifting of weights to be more effective. For those who would wish to have their muscle tissues this works as the most effective steroid. They increase the rate of metabolism. Helps those who are dieting. For those who are beginning in the bodybuilding field then the best dosage that one can take is 10mg while regular athletes and bodybuilders can take around 5mg to 30mg. It is good to use the recommended dosage for the steroids to avoid any kind of side effects that may come. For the bodybuilder to get the best results out of the Dianabol steroid, the steroid should be used during the off season period. Sustanon is really effective for those who want to increase strength and muscle mass. It is worth mentioning that sustanon works well with those bodybuilders that are at an advanced stage. The young bodybuilders or those new to the body building world are advised to take around 250mg-100mg per week while a bodybuilder at an advanced stage can use more doses. Sustanon is best if used with men and not women and this is due to the fact that it’s androgenic nature. Sustanon is just like any other steroid in the market and can be found from different outlets even online. Sustanon is a major steroid that is produced by major pharmaceuticals and can be easily found at an affordable price. Equipoise is also another steroid that has bulking capabilities and helps to increase once appetite and the stamina. Equipoise should be taken at around 300mg-500mg per week for those who are beginning bodybuilding. The dosage can increase to 500mg- 700mg per week for the intermediaries. Equipoise is a bit scarce in the market and only popular among athletes and bodybuilders. The steroid is available in different varieties, forms and dosage and different sizes. It is also good to note that the oral steroid is available is in 50ml, 100ml and 250ml. The price range is good due to the fact that the highest price that it can be bought at is around $170. Testosterone is one of the best steroids for bulking, cutting and increasing in strength. It is something that a bodybuilder should not miss amongst the steroids that he has. When you go to purchase testosterone you will find them in three categories namely: cypionate, propionate and enanthate. Testosterone is good for those who want to have a lean muscle mass. For those that are middleweight, it is recommended to take around 500mg-600mg per week. For a newbie, it is recommended to take around 250mg per week.